PARIS — Box office for French film exports plunged 63% last year, compared to 2015, to €230 million ($240.4 million) off 34 million ticket sales, down 69%, as no new English-language French movie caught fire in either the U.S. or China, according to provisional 2016 figures announced by French export org UniFrance Friday. For lack of a big new entry, “The Little Prince,” the No. 2 best theatrical performer outside France in 2015, ranked No. 1 in 2016. Underperforming in the U.S., EuropaCorp scare-fest “Shut In” was still France’s second-best performer in 2016. Marking the weakest performance by French films’ outside France this century, the box office nosedive can be put down to the fact that Luc Besson’s EuropaCorp’s saw no big hit last year. Indeed, not since 2000 had French films punched less than 40 million admissions at the international box office. “We have become accustomed to the exceptional- films like ‘Lucy’ and ‘Taken’ making 20 million-30 million admissions,” and that is not normal, “ said Gilles Renouard, Unifrance deputy director. For only the second time in five years, French movies sold less tickets outside France than in their domestic market. Box office for French films is traditionally far more volatile outside France than in the domestic market (see table). Perhaps the factor of most concern regarding 2016 numbers is that no other title from any other production company took up much of EuropaCorp’s slack. Gaumont (“The Intouchables”), Thomas Langmann’s La Petite Reine (“The Artist”) and ON Entertainment (“The Little Prince”) have all produced movies hitting near of above $100 million in recent years. In 2016, only five French movies, vs. 10 in 2015, crossed the one million mark in admissions, equivalent to $3 million to $8 million in gross box office. The major question begged by the 2016 results is whether they are anything more than a chance glitch. For decades, France has been one of the world’s major movie export powers, after the U.S. In the short term, 2016’s international performance is likely to be reversed and then some by the worldwide roll-out of the Luc Besson-directed “Valerian” and the City of the Thousand Planets,” hailed as the most expensive independent title of all time, which bows July 14, 2017 in France. It only takes two-or-so titles to turn around what seems to be a box office trend. Sold by SND, Omar Sy dramedy-melodrama “Two is Family” has already scored $1.6 million in Germany for Tobis – more in just one week from a Jan. 6 bow this year than any but two of France’s export titles in all of 2016 from the whole of international. The 410,000 attendance at the 20th Tour de Cine Francés in Mexico, up 28% on 2015, to suggest the enduring strength of French cinema’s brand abroad. The Golden Globes scored by “Elle,” a felicitous encounter between one of Europe’s major directors, the Netherlands’ Paul Verhoeven, and major French film industry talents such as lead Isabelle Huppert and producer Said Ben Said, also suggests the continuing spell worked on the world’s fraternity of filmmakers, film critics and writers by French cinema. Verhoeven has said that he intends to make of his movies out of France. One initial sensation at the 2017 UniFrance Rendez-Vous, however, is that, given the vast disruption in consumer habits sparked by VOD, France, whether via its institutions, events – such as a new Cannes TV festival, announced on the eve of the Rendez-Vous – or major companies, such as Vivendi, via its Studio Plus initiative – will be dedicating ever more of its enviable cultural-come-industrial energies to pushing French TV and web fiction, films and TV, on a global stage. Friday’s announcement of French theatrical results abroad coincided with the revelation of the movies which will make up UniFrance’s MyFrenchFilmFestival, an online fest whose jury is chaired by Argentina’s Pablo Trapero. In a departure, UniFrance broke out the theatrical results for sales agents outside France over 2016. 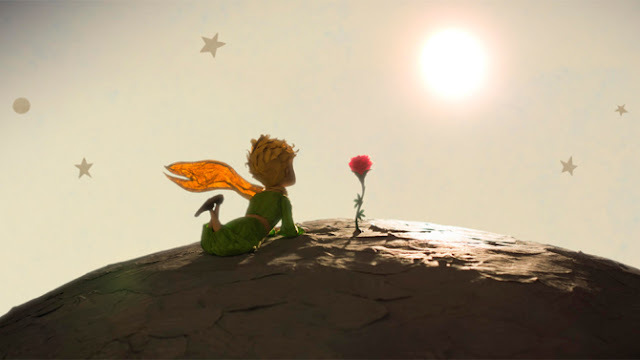 Thanks to “The Little Prince,” Wild Bunch topped results, followed by Pathé, Gaumont, EuropaCorp, TF1 Studio and Le Pacte. “Going back to essentials,” said Renouard, Western Europe was the biggest regional market for French films last year, accounting for nearly 50% of all tickets sold to French movies in 2016.